The avocado (Persea americana) is a fruit-bearing tree native to Mexico and Central America, classified in the flowering plant family Lauraceae along with cinnamon, camphor and bay laurel. Avocado or alligator pear also refers to the fruit, botanically a large berry that contains a single seed. The avocado got its name from the ancient Aztec word for testicle, and acquired a salacious reputation as an aphrodisiac, which is no doubt why Spanish Catholic monks banned it from monastery gardens after the conquistadors brought it back from Mexico. Nowadays, it’s enjoying something of a renaissance. This time round, though, nutritionists are focusing not on its romantic benefits but its health benefits. Avocados are now often included in that band of select foods dubbed ‘super foods’ because of their special nutritional value . Avocados contribute nearly 20 vitamins, minerals and phytonutrients, including 4% of the recommended Daily Value (DV) for vitamin E, 4% vitamin C, 6% folate, 8% fiber, 2% iron, 4% potassium, with 81 micrograms of lutein and 19 micrograms of beta-carotene. 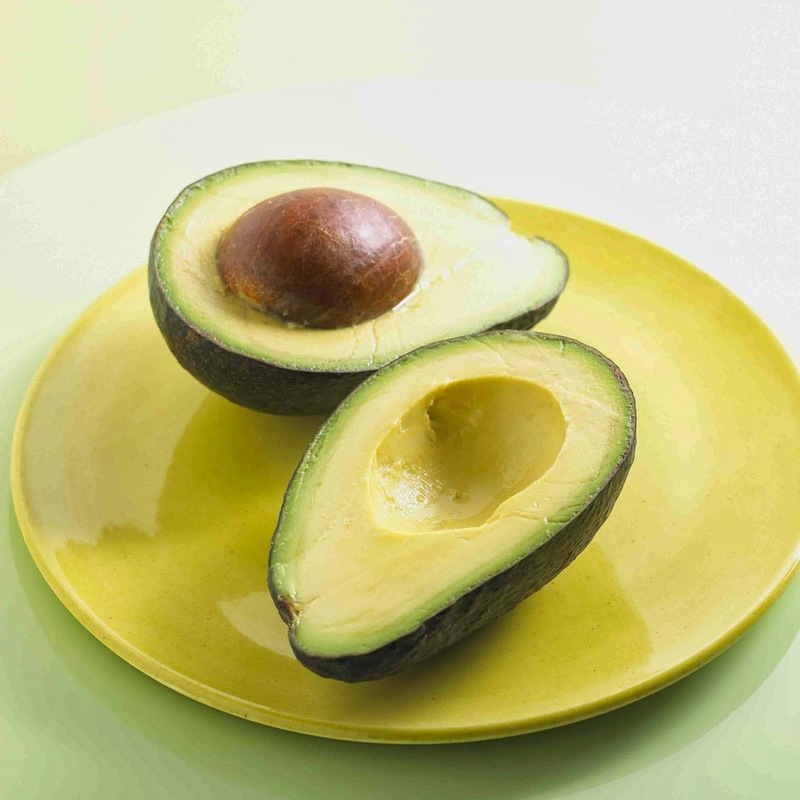 Avocados contain a special kind of sugar that helps prevent low blood sugar, so may be the ideal diet food. In the Philippines, Indonesia, Vietnam, and southern India (especially the coastal Kerala and Karnataka region), avocados are frequently used for milkshakes and occasionally added to ice cream and other desserts. In Morocco, there is a similar chilled avocado and milk drink, that is sweetened with confectioner's sugar and hinted with orange flower water. This unusual method for preparing avocados—one of Brazil’s most popular fruits for desserts— makes a cool, refreshing treat. 1) Peel and pit avocados. 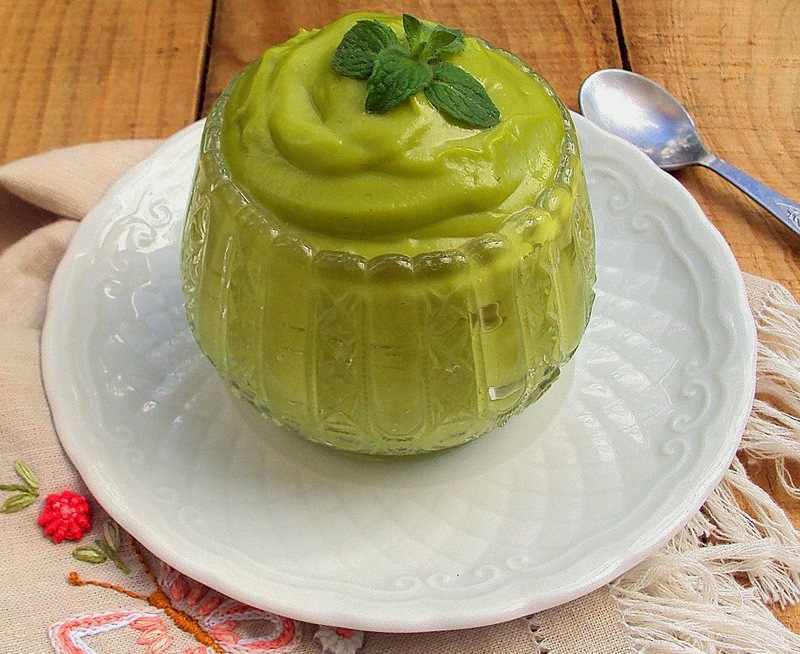 2) Place avocado, sugar, and lime juice in a food processor or blender and process until smooth. Add just enough milk to give mixture a creamy, pudding like consistency. 3) Spoon mixture into six dessert dishes or sundae glasses. 4) Cover and chill for at least 1 hour and serve cold. Look for avocados that are slightly soft but not mushy. If avocados are too hard to use, let them sit on a shelf or countertop for a few days until they soften. To peel and pit an avocado, carefully use a sharp knife to cut the avocado in half lengthwise, cutting around the pit. Gently twist the two halves apart and use your fingers or a spoon to remove and discard the pit. Use a spoon to scoop the avocado out of the peel. Learn more about the... health benefits of avocado.